Capacities ranging from 1.5 metre to 3 metre and 3mm to 70mm. 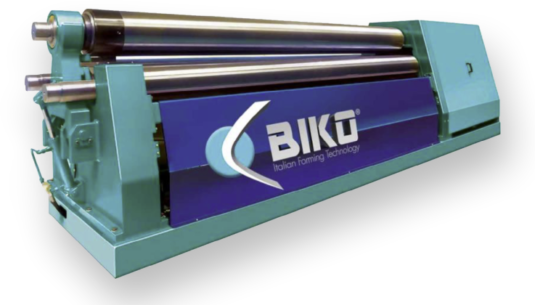 The Biko B3 three roll double initial pinch machines, are manufactured with capacities ranging from 1.5m to 3m and 3mm to 70mm, and have been designed to achieve the most versatility in a traditional industry. 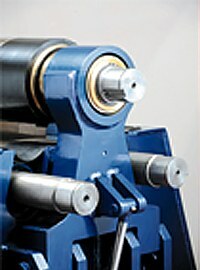 With all three rolls independently driven by independent motors and gearboxes, two powerful hydraulic cylinders to each roll and a hydraulically operated drop end bearing for the removal of completed cylinders, the machine has the capabilities to produce high quality rolled parts and as a result of its low competitive cost is the preferred machine of the general fabricator, who needs the assurance of a strong and user friendly machine. 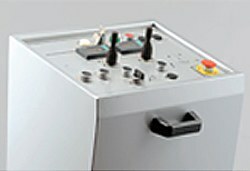 General fabricators are the main users of this product. Within our range the Biko B3 offers the maximum rolling power with the minimum investment cost. You authorize us to contact you and send you information about our services / products / events and promotions that may interest you. Authorization to process data for this purpose is not necessary, but you would risk losing something that might interest you. Position the rolls in standard pyramid configuration and close the ferrule. 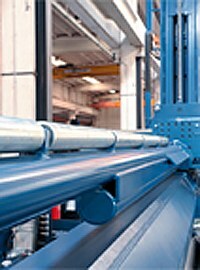 When rolling thinner material to larger diameters, the rolled part has little inherent strength and has a tendency to collapse, the result an ‘egg’ shaped cylinder. It is normal workshop practice to support the work piece with either a fork truck or overhead crane, which ties up valuable equipment and could create a ‘bottleneck’ in production. Various types of automated controls are available for the bending sequence, from the basic NC with simple NC to the full graphic CNC with auto calculation of the bending programmes.